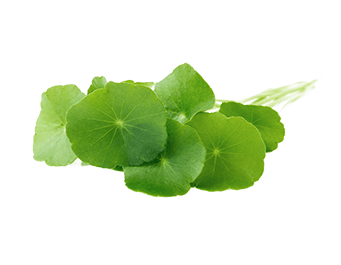 Gotu Kola (Centella asiatica) contains B vitamins, Vitamin K, magnesium and calcium as well as various alkaloids, sterols, and tannins. Traditionally used in Ayurveda for revitalizing the nerves and brain, Gotu Kola may enhance cognitive functions such as memory and concentration. Gotu Kola is a source of various glycosides such as asiaticoside, which may also help stimulate skin repair and strengthen skin, hair, nails, and connective tissues. It also strengthens and tones blood vessels and encourages blood circulation, especially in the legs.